The U.K.’s critically-acclaimed show Beyond the Barricade will make its Philippine debut for one night only on October 7 at the Solaire Theatre, Manila. This glittering concert features musical showstoppers from The Phantom Of The Opera, Lion King, Evita, Wicked, Miss Saigon, & Les Miserables. 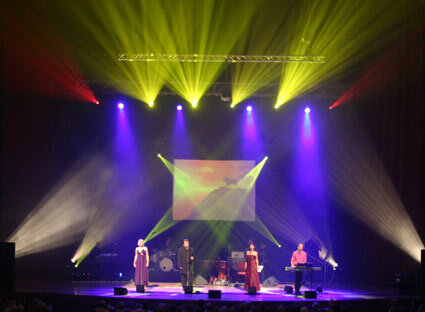 It features past principal performers from Les Miserables in the West End and on tour. Musical theatre lovers and enthusiasts alike will be treated to a night of pure entertainment as the theater is filled with hit songs such as “All I Ask Of You” from The Phantom of the Opera, “For Good” from Wicked, “The Heat Is On In Saigon” from Miss Saigon, and “The Circle of Life” from Lion King, just to name a few. The night closes with a spectacular finale featuring seven songs from the much-awaited Les Miserables. The former cast members of London’s longest-running musical, Les Miserables, include Andy Reiss, who has played numerous male roles including Jean Valjean; David Fawcett, who played Valjean; Katie Leeming who played the role of Eponine; and Rebecca Vere, who played Cosette. They are joined by an ensemble of talented musicians to create an authentic live experience, capturing all the passions and orchestrations of the original shows. 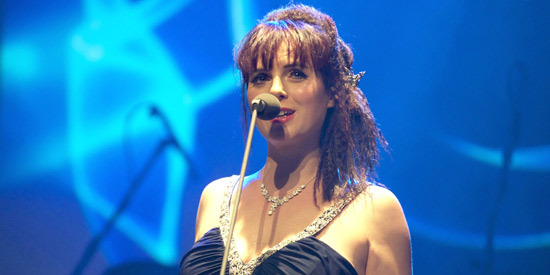 The four talented performers have toured Europe, performed on the three Cunard liners – the Queen Elizabeth, Queen Mary 2 and Queen Victoria – and were also featured in the Les Miserables 25th Anniversary Concert staged at the O2 Arena in London, while Kate and Rebecca were ensemble vocalists in the Les Miserables movie. Beyond the Barricade will play in Manila on October 7 at The Theatre at Solaire for one night only. It is produced in Manila by Lunchbox Theatrical Productions and Concertus Manila. Tickets are on sale through TicketWorld. Call Tel. No. 891-9999 or visit www.ticketworld.com.ph. For group bookings, email alma@ticketworld.com.ph. Tickets are priced as follows: P5500 for VIP; P4500 for A Reserve; P3500 for B Reserve; P2500 for C Reserve; and P1800 for D Reserve.